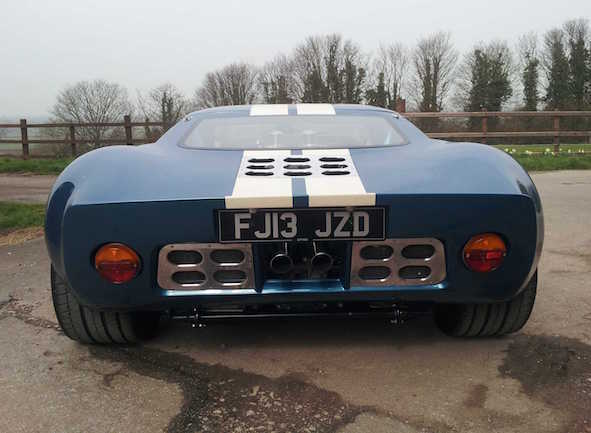 TORNADO CHASSIS & BODYWORK WITH EXTRA WIDE GULF ARCHES. ENGINE FORD 302 PERFORMANCE PARTS BY EDELBROOK (394 BHP). FITTED WITH MSD IGNITION & OVERSIZE CROSS OVER EXHAUST SYSTEM. CARBURATION DELLORTO 45MM TWIN DOWNDRAFTS X 4. SUSPENSION DOUBLE WISHBONE/REVERSED A FRAMES WITH TOP LINK & RADIUS FITTED WITH ADJUSTABLE PROTECH COIL OVERS. WHEELS BRM 17" KNOCK ON. BRAKES WILLWOOD 4POT CALIPERS. OVERSIZED RADIATOR & COOLANT PIPES. 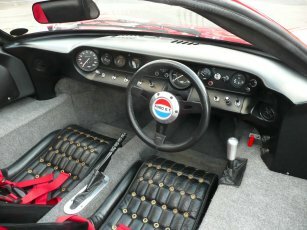 AUTHENTIC INTERIOR SEATS. AIR CONDITIONING. ALARM. SUPERB GAURDSMAN BLUE PAINTWORK WITH IVORY WHITE CENTRE & SILL STRIPES. THIS CAR WAS FEATURED ON TV'S CAR RESTORATION PROGRAM THIS YEAR. TO BUILD THIS SPEC WOULD COST PARTS/MATERIALS ALONE IN EXCESS OF £80,000 NOT INCLUDING 3 YEARS LABOUR REGISTERED IN 2013 WITH 2500 MILES ONLY ! 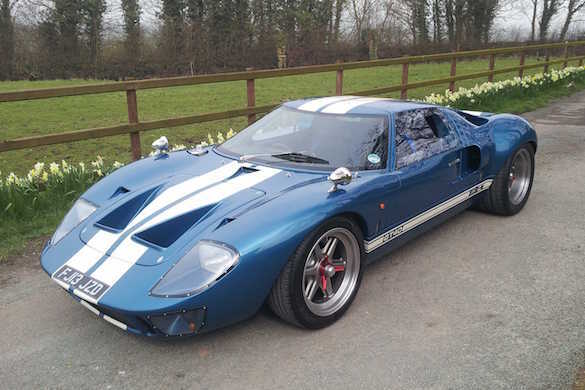 Tornado TSC GT40 for sale. Spaceframe chassis. Registered in 1996. 11,700 miles and MOT until April 2015. Colour is Dark Pearl Blue. Gulf rear wheel arches. 12" X 17" rear wheels and 8" X 17" front BRM Knock on wheels. Removable door top panels. Airconditioning. AP brakes. Leather seats and trim. 48 IDF Quad Carbs. 1 3/4 " full cross over exhaust system. 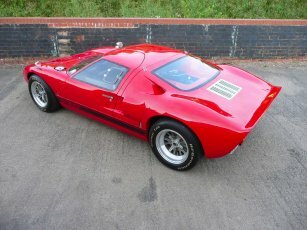 £49,995 ono. 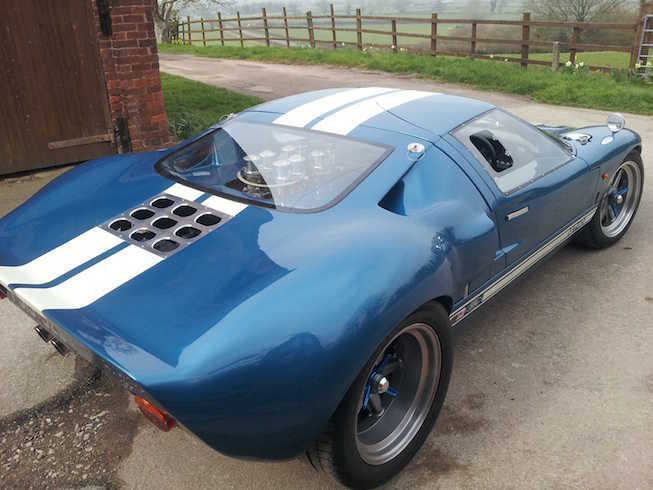 Tornado TSC GT40 for sale. Spaceframe chassis. Finished in Gulf Racing colours. There are no stickers on this car and all of the sponsorship decals are painted. 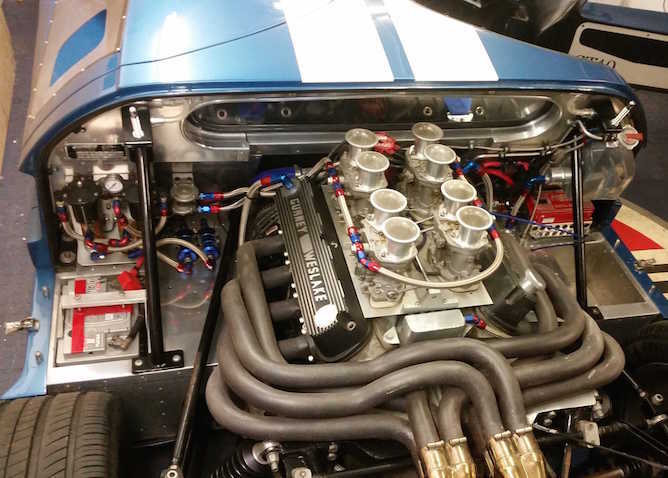 Ford 302 engine with 8 stack Procomp fuel injection and Omex ECU. 380 BHP on the dyno. 1 3/4" full cross over exhaust system finished in Cerma chrome. 5 speed UN1 gearbox with limited slip differential. Nickle plated wishbones and suspension links. 6 pot front brakes and 4 pot rears. Gulf rear wheel arches with 12" X 15" rear and 8" X 15" front knock on BRM wheels in Gulf Orange. Glass rear window. Rear periscope vents. Airconditioning. Hidden stereo system. 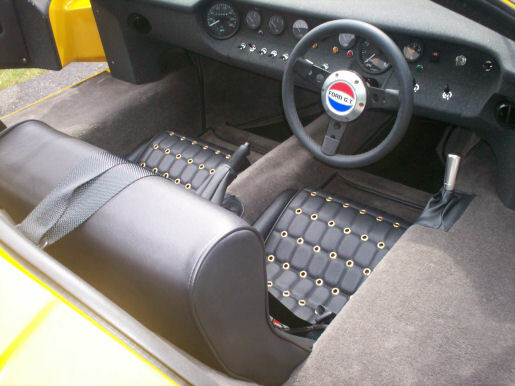 4 point seat harnesses. Gurney Eagle engine rocker covers supplied but not fitted. Price £95,000 ono. Available for export from the USA to any location worldwide. Titled in the USA in the state of Massachusetts. 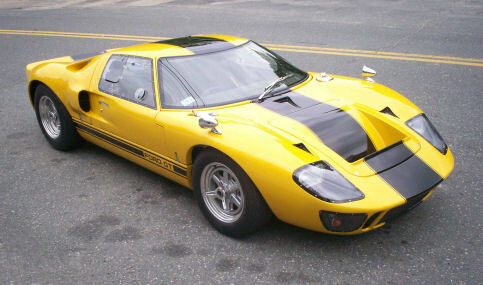 Painted in real Belgian racing yellow with a single black stripe and grey interior. 4 pot Wilwoods all round. Silver 15 inch BRM knock off's with Avon CRZ tyres. Chrome plated wishbones and suspension links. Front and rear anti roll bars. 1 & 3/4 inch bundle of snakes with both full mufflers and megaphones. Lucas 608 rear view mirror. 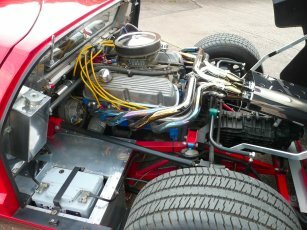 Renault UN1-26 transaxle with a 4 spider open diff & 3:44 crown wheel & pinion. 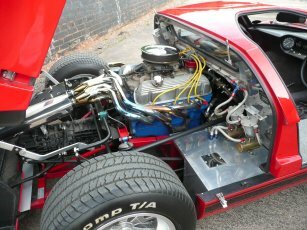 385 bhp 1968 289 with Eddie RPM heads, Weber 44 IDF's, 5.4 inch rods, roller rockers, Ross pistons and a Holman & Moody C30Z solid lifter cam. 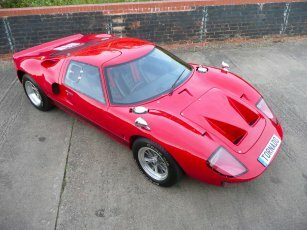 Tornado TSC GT40 in Ford Radiant Red. Ex Demonstration car so very well looked after. Black Leather seats and trim with Grey carpets. Glass rear window.15" Halibrand knock on wheels. 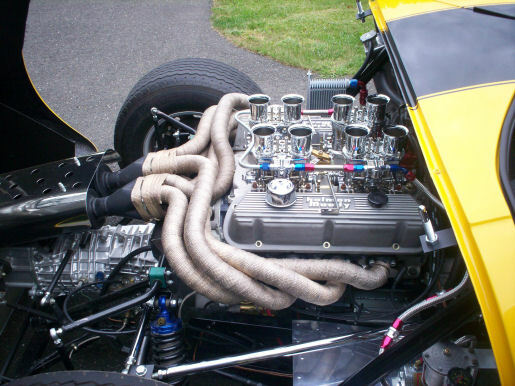 Ford 302 engine with Holley 650 cfm carb. Full cross over exhaust in Chrome finish. Twin fuel pumps and filters plumbed with Aircraft type fittings. All panelling in mirror polished Aluminium. Full Airconditioning system. Original Smiths type instruments. Fully braided Aeroquip braking system. Fully plumbed onboard fire supression system. 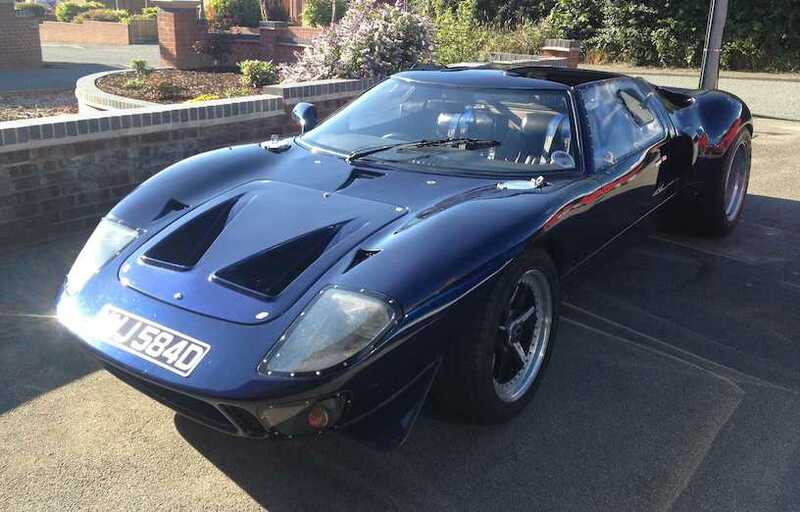 7100 dry miles only and in excellent condition. 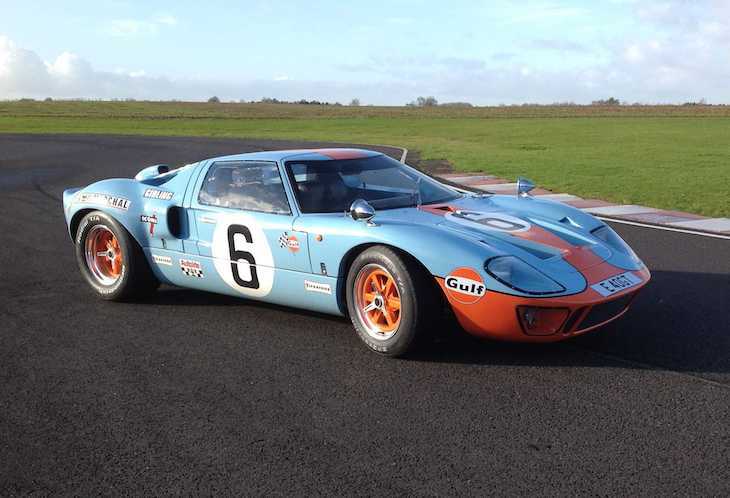 As featured in many magazines including Which Kit?, Kit Car and Kitcar USA.